Happy Friday! I'm still on recovering from last night's Formation World Tour and if you follow me on Snapchat (username: lilbitsofpau) you'll see why I'm so tired! Beyonce was amazing, but obvi you don't need me to tell you that! Her outfits was Beyonce in all of its glory (sparkly, high neck and no pants)! 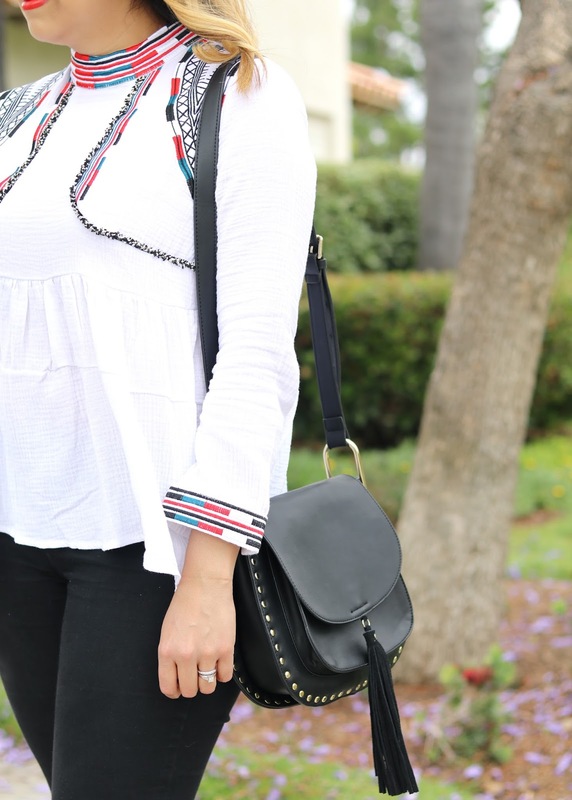 Anywhoooo, here is a look that is centered around this really cool top from Chicwish. I love the design, it has an ethnic touch with small pops of color and a really cool silhouette. I've been really digging Chichwish's stuff lately because they have variety from girly to edgy to boho, and all of the items I've ordered from them are well made. Great top and loving the shoes. I love the top! You look amazing Paulina! Super cute! Love that top and the way you styled it. Wow, great combination. Thanks blouse - it is very unique and looks great with dark. Super! Everything I like.